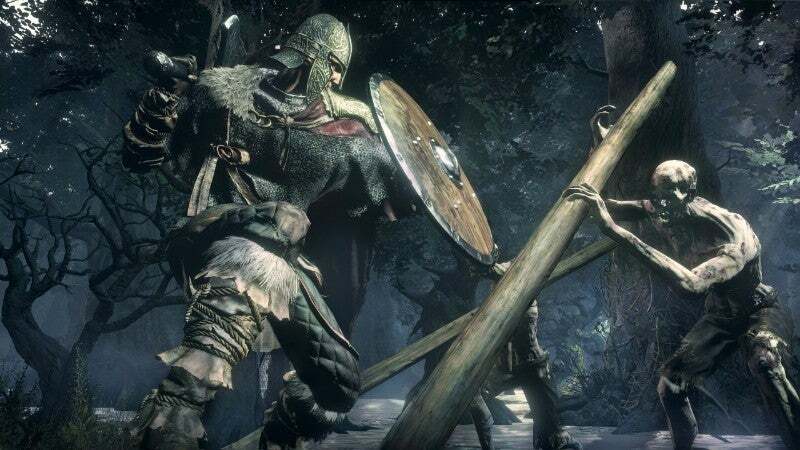 During a recent round table at Namco Bandai headquarters in Tokyo, I asked From Software's Hidetaka Miyazaki about the future of Dark Souls, as well as what else the studio is working on. The good news is yes, a new Armoured Core is coming. The bad news is that, at least for the foreseeable future, more Dark Souls is not. At least, not from Miyazaki himself. 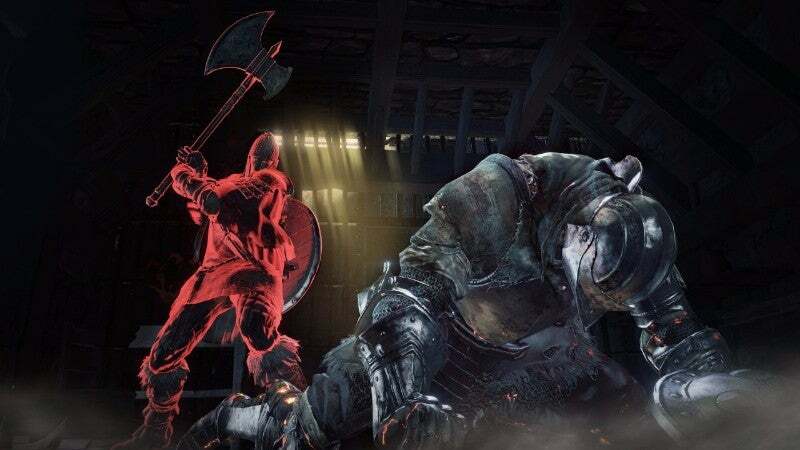 The backstory: In 2015, when talking about Dark Souls III, Miyazaki said it was "not the final product for the Dark Souls series," adding that it was a "turning point." This summer Miyazaki told the Japanese press he was "put[ting] the Dark Souls series on hold for a while." "This is because it was never our real motive for From Software to be the Dark Souls-only company." This week in Tokyo, when I asked if Dark Souls was finished or if there'd be more, Miyazaki had more to say. "For me, Dark Souls III is the end," he said. "But that doesn't mean the end for Dark Souls. If someone other than myself, like another staff member, wants to make a Dark Souls, then I don't want to deny others from making future instalments." Part of the reason he felt this way, Miyazaki continued, was because there are people who like Dark Souls very much, and he doesn't want to unilaterally end the series. "I'm also not saying we should steer clear of making dark fantasy games," he added. "I'm not ruling that out!" Miyazaki was asked what he thought about how Demon's Souls and Dark Souls have created their own subgenre and how other titles appear heavily influenced by Souls series to the point where the games' basic mechanics seem to appear in other games. "I don't really think that way," he said. "I don't think how we've created a new genre." If anything, he said, he feels proud that Dark Souls has probably made it easier for similar titles to come out. 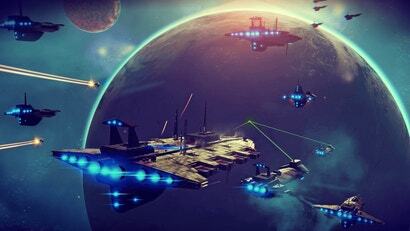 "There were other developers who probably wanted to make games like this," Miyazaki said. 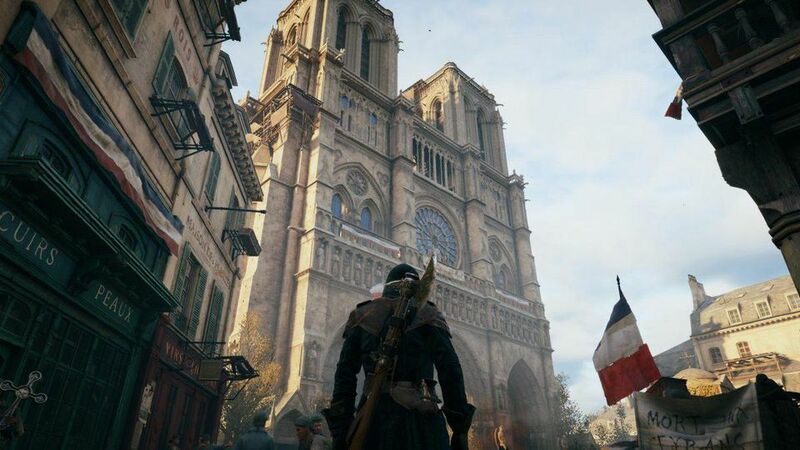 "If I've created the environment for those games to be released, then I'm honored." Regarding the use of Souls mechanics in other games, Miyazaki had an equally diplomatic answer: "Even if the game mechanic is the same, the approach might be different. For us, that's interesting." It ends up being research of sorts for the Souls team, who can see how different developers put their own spin on what the Souls team has created. "I've just never thought about other games mimicking ours." Following up on what Miyazaki said earlier this summer, I asked him what he thought about game studios that continue to churn out new entries in the same series for years. 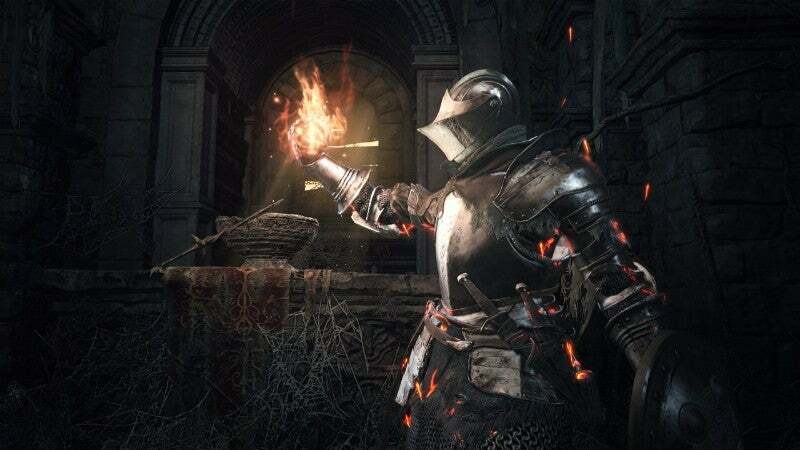 "It's not bad if you keep making new games in the same series if you think there is more to add to it," Miyazaki said, adding that the reason why he's no longer going to do Dark Souls is that he doesn't think he can add more to it. Currently, From Software is working on a couple titles that, as Miyazaki said, are "not just dark fantasy and mecha." (Though it does sound like they are making a title that should please Dark Souls fans.) One of the games they are developing is "a little weird," Miyazaki said. I asked if the game itself is weird or if it's a weird title for From Software. "When I say 'weird,' the genre might be a little weird," he replied. "The game is weird. But we are diligently making it in all seriousness, so I just want people to know that when they think it's strange." Miyazaki has long wanted to switch up what From Software does. Back in 2014, he told Famitsu, "I feel that From Software's title lineup will need a little more variation ... we have dark fantasies like Dark Souls, of course, but I'd also like for us to make more mech games like Armoured Core, or Asian style titles like Tenchu or Otogi: Myth of Demons. From Software used have a lot more rather quirky titles." When Famitsu asked what kind of game he'd like to make, Miyazaki replied, "There are lots of games I'd like to make. I've said this before, but I'd really like to make a 'warm' game. Something like Popolocrois or ICO." Miyazaki added, "Also, this is a bit of a dream, but I'd like to make some kind of analogue game. Something like a board game, a card game, or a tabletop RPG." The most obvious question, then, was whether or not From Software was making a new entry in its long-running mecha series. I asked if they were making a new Armoured Core to which he replied, "We are making a new Armoured Core. We are still in the early stages of development." I asked how early, and Miyazaki replied, "I can't talk about how early it is." The most recent Armoured Core console title, Armoured Core: Verdict Day, was released in 2013. The Dark Souls III: Ashes of Ariandel DLC will be released on October 25. I can't take it, it's like Metroid Prime 3 all over again! Seriously though, if not Dark Souls in name, I have no doubt we'll see new IP from From Software in the same spirit, ala Bloodborne. A new Armored Core game?! Sounds like good news to me. The more Dark Souls they keep pumping out the worse they'll be. Let the man take a break & if he one day comes back with fresh ideas, fantastic. If he doesn't, I can always replay the original. Kinda glad Dark Souls as a property can be given a nice send-off and retired, for a period of time at least. It was never ever supposed to be held up in the same way say, an Arkham game would be, with WB Games doing its best to ram the series into the ground with all the ancillary stuff and of course covering box art with obnoxious quotes. There's your big flashy blockbuster AAA, which will always be there, but then there's your franchise that knows what it is, is comfortable in its own skin, has a self-sustaining fanbase to warrant continuity, and that's all that it needs. I literally laughed when i read the mcmuffin dropping on the floor part. So true. People will still eat those damn things. They could always make Dark Souls 4 open world with collectibles and micro transactions. I have found that always rejuvenates a franchise. later couple were average at best Unfortunately those are the ones From Software was responsible for after they acquired the rights to the series in 2004. I enjoyed Tenchu Z but it lacked everything that made the PS1 and PS2 games great. I feel that if they took what they've learned with the soulsborne games and applied it to a stealth game though then it would really be great. While that may be the case (of which I was unaware From did those later ones, thanks for that) I would agree that hopefully they would bring a lot from their recent success's to it. all it would need IMO is a proper stealth mechanic (easier said than done given how many games have really tacked on stealth mechanics), but keep the combat as deadly/engaging as soulsbourne. i recall the last few went a little bit cartoony as well, i would hope they would bring the soulsie realism to the environments/characters too. I'm certainly yeah recalling the ps1/ps2 ones as being really good but yeah the others being really quite poor. Please do Shadow Tower for PS4. I never played it but it sounds wonderful. 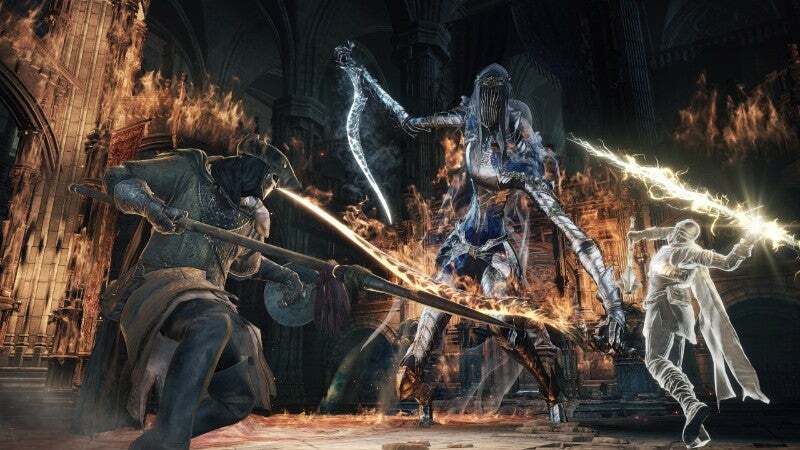 Bloodborne and Dark Souls 3 were my first tastes of the Soulsborne series (not counting the first Dark Souls as I never got even close to finishing it), and I very much adore them, they are special to me. Miyazaki seems like a very humble, sincere, and modest man, it's sad to think that I've only just really gotten into the games he's helped create and now he's finished with them. Metal Wolf Chaos HD remaster! Believe! New Ninja Blade? Minus the quick-time events please.